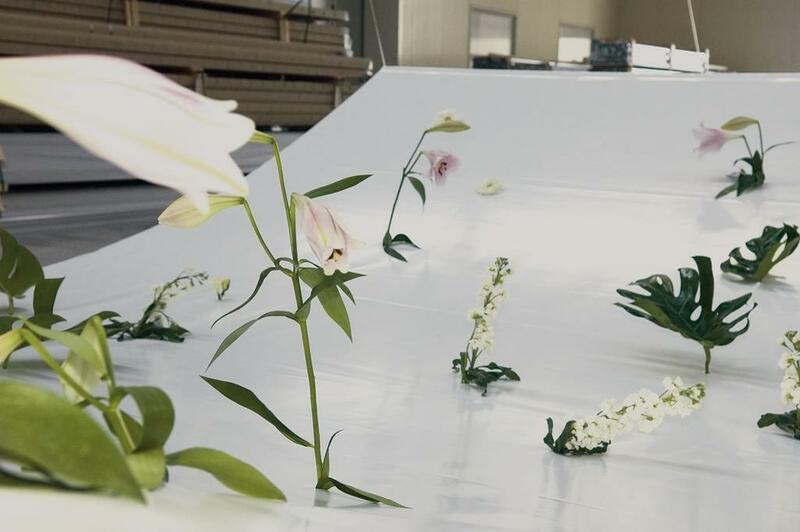 Materials: flowers, PVC sheet, lawn, sound, perfumed essence. Dimensions: m 30 x 3 x h 1,7. “Remember and hope”: this was the phrase that Alex Salamone chose to remember the victims of the attack of 11 September 2001 on the Twin Towers, his father was among them. Inscribed on a bracelet and distributed beforehand to his closest friends, this slogan quickly went around the world and was shared by thousands of people. 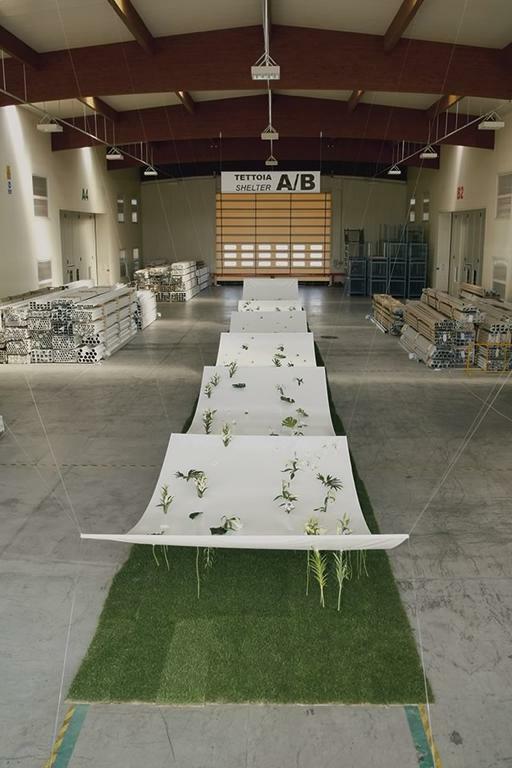 Maria Dompe’s project was born from the desire to create a poetic and natural image: “remember and hope.” An immense bridge of voices, crossed destinies, a date that will remain impressed in the memory of each of us. 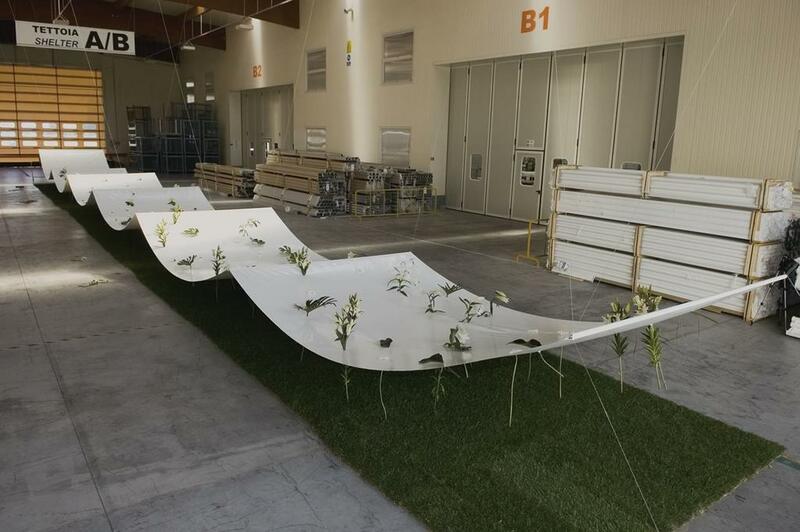 A white sheet of wave-shaped PVC (material produced by the company hosting the event) was hung from the ceiling; the pavement instead was made up of a grass covering. 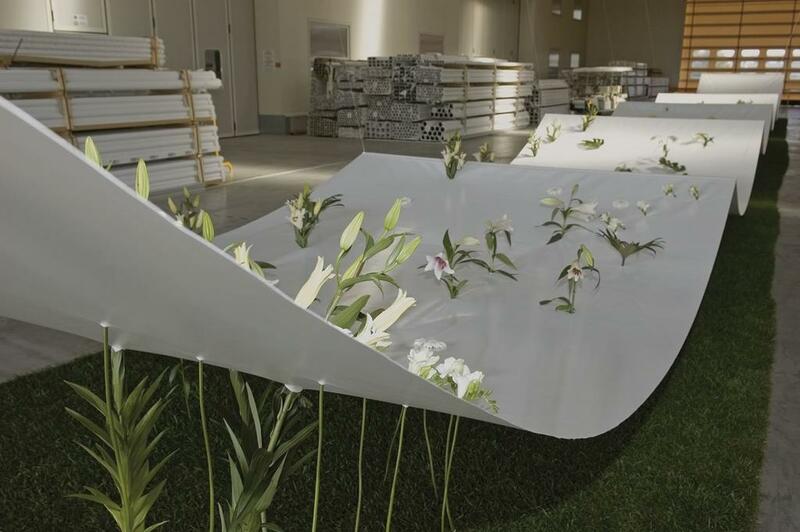 The artist inserts, as an element of dialogue between these two entities, white flowers and leaves, “creating a displaced effect of suspension and annulment, in contrast to the vitality of the floral and natural element: a carpet of the poetry in memories. With this intervention, by means of the human and artistic message, Maria Dompè shows the will to recreate a choral act in which the audience discovers “Remember-Hope”.